The Maxwell Dining chair is so pleasant and cushy that the time spent at your dining time will feel like no other. 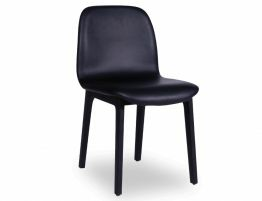 The Scandinavian style dining chair with its lightly coloured solid ash timber legs and sleek black padded seat allows this contemporary chair to complete your look. 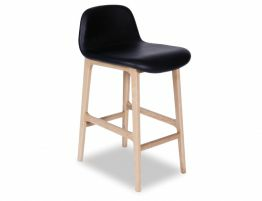 Pair it with a black lustrous table or an ash timber table to turn your dining experience in a formal, comfortable and engaging setting. 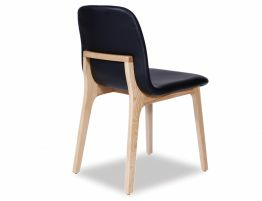 The curved detailing of the chair grants a supple formation suitably alike to the Scandi movement. 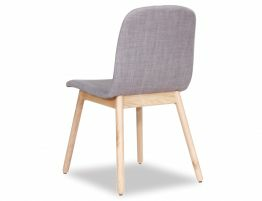 The Maxwell Dining chair is a sturdy reliable chair that will with hold the pressure and frequency of family dining and entertaining with an easy to clean upholstered surface.